After snapping up messaging app WhatsApp for a surprising $19 billion, social media giant Facebook will stay off acquisitions for some time, its founder and chief Mark Zuckerberg said. "Already almost half-a-billion people love using WhatsApp for messaging and it's the most engaging app we've ever seen exist on mobile so far. “About 70 per cent of its users use it everyday. “We see WhatsApp is on path to connecting over a billion people and very few services can reach that level," he said at the Mobile World Congress in Barcelona. Asked if the company would again bid to acquire Snapchat, Zuckerberg said, "No. After buying a company for $16 billion, you are probably done for a while." Last year, Facebook attempted to acquire photo sharing app Snapchat. According to reports, Snapchat turned down the $3 billion offer. 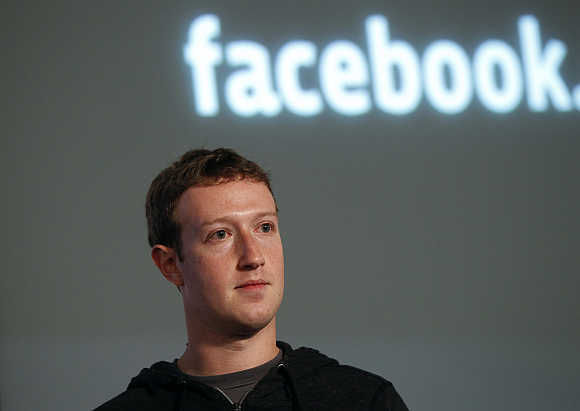 On privacy concerns, Zuckerberg said the NSA issue is "a real issue, especially for American Internet companies". "Trust is just such an important thing when you're thinking about using any service where you're going to share important and personal information. He added that Facebook continues to work to be sure we can share everything that the government asks for. "The government kind of blew it on this. “Governments have a responsibility to protect folks and to also be transparent about what they're doing and I think they've just been way over the line in terms of sharing what they are doing," he said. Zuckerberg's debut at the show, one of the biggest events in the mobility industry, highlights the importance of mobile to the future of the social media giant. Facebook is betting on emerging markets like India, which is a ‘key source’ of growth for the Menlo Park-headquartered firm, as an increasing number of users log onto the site through mobile handsets. The monthly active users in India stood at 93 million at the end of December 2013, of which 75 million logged in through their mobile phones.